It is an established brand when it comes to locking technology. It is a widely recognized brand that caters complete peace of mind and security to the home users. The brand ha s been in the market since a couple of decades and is known to develop one of the best door locks and door hardware. It caters one of the best and complete lines of lock products including the ones like door levers, decorative door knob, electronic keyless entry locks for residential purposes, handle sets and other light commercial applications. The company is known to manufacture a wide range of locks backed with innovative technology that helps to secure your money and time the best. A wide range of locks made up for a number of purposes like the residential ones is known to have one of the best features that keep your property intact and secured thus giving the required satisfaction and peace of mind. The next popular lock brand in the US is Schlage, which was founded by the man called Walter Scalage. He first patented his invention in 1901 for a door lock and later went on to start his shop soon and finally in 1923 he was seen moving his fledgling company to a new quarter wherein he embarked with a full-scale production of a number of push button locks that simply revolutionized the lock industry. This lock brand is known to produce both the key-less entry and the keyed locks by Schlage. The industry leader is seen offering lock security solutions both for residential and commercial purposes. The company is known to produce the most durable, tamper-proof and secured locks for the users, which not only give them complete security but also the peace of mind to the users. The Wiser Lock Brand was founded by a European in 1904 in South Gate, California. It all started with making ornate custom-designed locks that were popular form simple homes to the luxurious movie star homes. The company is known for focusing on producing high-quality locks, while they are certainly seen fashionable apart from being very much robust and functional as well. The brand is even successful in creating locks that sustain the extreme weather conditions of Alaska and Canada, which other locks fail. 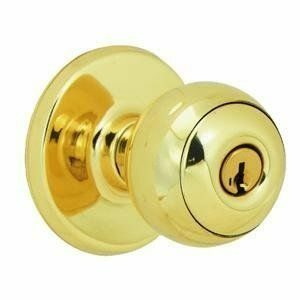 The residential locks produced by this brand are known for being corrosion free and discoloration. The company produces brilliant finish locks having an anti-tarnish finish, which secures the locks from not just the harsh conditions but from UV rays and high humidity. 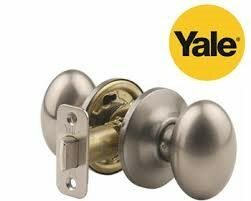 The locking brand called Yale is an international lock company, which manufacture a wide range of door locks apart from other ones like digital door locks, padlocks, door handles, safes and alarms. It is considered to be the oldest brands in the lock industry and has a presence with its products for not less than 125 nations. Being the oldest company, Yale is counted among the most trusted brands in the lock industry having millions of locks in use all across the globe. The company was founded in the year 1840 in Newport, New York and from the very start the company had its focus on innovation. The Yale lock brand continued to innovate even today with its wide range of digital locks that can be found in the US, UK, South Korea, France, and Turkey to name a few. The company is known for its favorite slogan – Yale- The world’s favorite lock. The demand for high quality and highly secured residential locks has been on a rise since decades. Thanks to the growing burglaries and security issues, people want the most secured locks at their residence. Luckily there are a number of good brands present in the lock industry, which are known to produce one of the best locks. The above are some of them.